Want it by Thursday 25th April? Order within 8 hours, 55 minutes and choose Royal Mail Tracked 24 Hour at checkout. 925 Sterling Silver bracelet made with 3mm discs. Featuring Hamsa Hand charm. 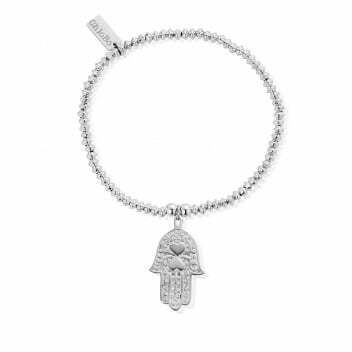 The Hamsa Hand is a protective sign, bringing happiness, luck, health & good fortune.